Fernando Rafael Quintero Castañeda is the creator of Committed to Celluloid, a great little site notable for, among other things, its use of fan-made poster art. Perhaps more significantly, however, Fernando is a completely bilingual writer hailing from Tijuana, Mexico where he writes reviews in Spanish for a local website. Fernando is also one of my top commenters and I am very happy to have him on for a Blogger Interview. Enjoy! Rorschach Reviews: What is the first movie you ever remember watching? 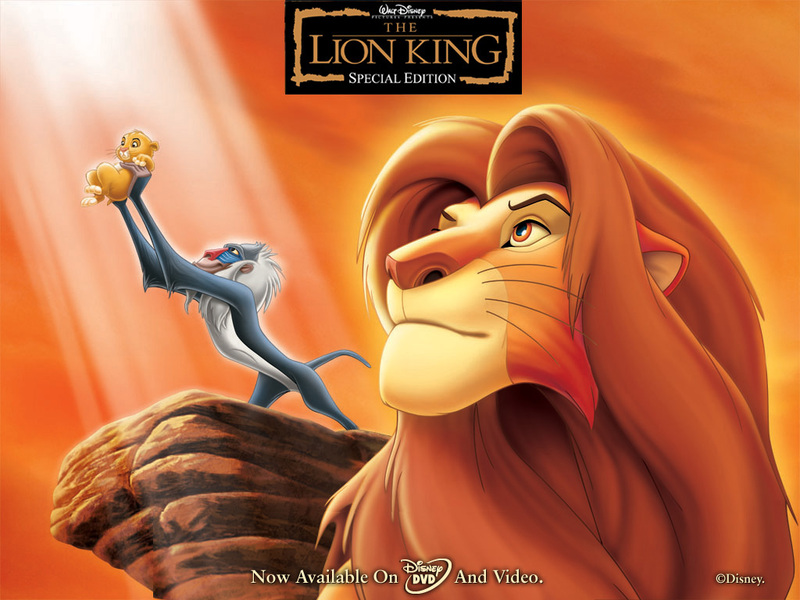 Fernando Rafael: The first movie I remember watching is The Lion King. The family next door had kids around my age (about 4 at the time), so they took me to the theater. It was a fantastic experience so when I went to see it in its 3D re-release a couple years ago, all the memories came back. RR: GREAT first movie, it remains the only film I’ve forked over the cash to see in 3D re-release since the trend started. How about your first rated R movie? FR: Kill Bill Vol. 1. I have no idea why the store would let me rent it at 13 but they did and I’m thankful for their negligence 😉 I went back for that one many, many times. I became obsessed and I credit that Tarantino masterpiece for making me a full-on cinephile after years of just casual film watching. RR: Damn, from 0 to Tarantino in nothing flat, that’s impressive. How does Kill Bill Vol. 1 rank against other Tarantino films in your book? FR: Pretty high, I would say. I mean, it is my favorite movie, tied with Volver (Pedro Almodóvar). Obviously I love it. It blew my mind when I first saw it and I think it made such an impact on me that I just see it as perfection, you know? RR: Interesting, I definitely get how a movie can make the biggest impact sometimes when you see it earlier on and appreciate it more and more with each repeat viewing. That’s sort of what Monty Python and the Holy Grail is like for me. Speaking of Volver, are there any big differences you see between Spanish/Mexican and American cinema (aside from language obviously)? FR: Well, yeah. Specifically speaking about Mexican cinema, it’s all in a smaller scale than American cinema. Smaller movies, simpler themes, tiny budgets, not many genres are explored, some of the actors are the same ones you see in every single movie, that type of thing. Also, we get them in groups. Around 2000, there were a lot of coming-of-age movies, like Y Tu Mamá También, then we had films that revolved around poverty, then period pieces, next we had fluffy romantic comedies, and afterwards films about crime, especially the violent drug trade. Now we seem to be getting quite a few films dealing with issues like bullying, but also some experimental stuff à la Von Trier. It’s cyclical like that. RR: Very interesting, I never knew any of that. Are there a lot of movies that catch on in your neck of the woods more than they do here in the states? For example, when I was in Germany last summer Ice Age 4 was huge, whereas it was met with a pretty indifferent response here in the US. FR: Yeah, it’s the same case. Animated movies are huge over here. People eat those up. Toy Story 3 was the highest grossing film ever in Mexico before it was beat last year by The Avengers. RR: I’ve always wondered about why animation seems to cross over into foreign markets better than live action. My best guess is that this is largely due to how well animated movies allow for foreign-language dubbing seeing as all that’s needed is to simply changing who is voicing each animated character. What is your opinion on dubbing? FR: I tolerate it more when it comes to animated movies. Still, I try to (and prefer to) watch the film in its original language, even if it’s animation. However, I think that dubbing live-action films is an unforgivable crime. It’s awful and unacceptable. You’ll never see me pay to watch a dubbed movie ever. RR: I don’t think I’ve ever seen a foreign movie dubbed in English but I’ve seen plenty of the opposite and I can agree with you there. Turning away from international matters for a second, let’s enter a judgment-free zone. What are some “classic” movies that you have absolutely no interest in seeing? FR: I do have the tiniest desire to see those, but Star Wars. Haven’t seen the original trilogy yet, everyone thinks I must be crazy but I just don’t care about them. I know I’ll eventually check them out but it’s definitely not a priority. Also, couldn’t care less about some of the more celebrated westerns. I know some are classics and considered to be some of the finest films ever made but it’s a genre that has little to no appeal to me. 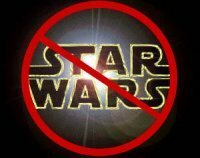 RR: Interesting, I’m a huge Star Wars fan but I do think it’s one of things that you really have to grow up with otherwise it just won’t connect like it should. As for Westerns, I also haven’t seen any of the classics but for whatever reason I don’t have a huge drive to either. Perhaps movies like The Good, The Bad and the Ugly will change my mind, but I’m not holding my breath. Are there any classic movies you have seen that you would never see again? 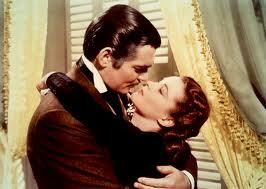 FR: I thought Gone With the Wind since it’s so long but I actually would love to give that one another spin. Can’t think of one at the moment. Wait a minute, yeah I can. Wizard of Oz. I wouldn’t mind not seeing that one again for the rest of my life. I did not enjoy it. RR: Ah, I remember you mentioning that. I myself watched it so much as a kid that it has sentimental value, but I can easily see why someone would not like it. You were a fan of Oz the Great and Powerful if I recall though, can you think of any other modern “reboots” of classic movies that you liked better than the original? FR: I really can’t think of one modern version that I’ve liked over the original. I have prefered some remakes of recent movies, like Let Me In or The Girl With the Dragon Tattoo. RR: Both great remakes indeed, it’s just a shame that they come in such short supply nowadays. Before we leave, what are some things that the future may hold for Committed to Celluloid? FR: I don’t have anything specific planned as of yet, but I’d like to mix things up, both in design and in content. I’d like to try a new look for the site, finally give it a logo (would need help there, though, as my design knowledge doesn’t go beyond Paint) and also try out a recurring feature. We’ll see. Right now, I think I should focus on posting regularly again so I don’t lose my followers, lol. This entry was posted in Blogger Interviews, Reviews and tagged committed to celluloid, film trends in mexican cinema, gone with the wind, mexican cinema, movie blogger interview, movie dubbing, negative reviews of the wizard of oz, y tu mama tambien. Bookmark the permalink. Wonderful interview. Kudos to you both. Good hustle guys! Excellent read. I seem to be promoting Once Upon a Time in the West all over the place at the moment and doing it here can’t hurt. Please both of you see it, if you haven’t already, and then let me know your thoughts (It’s my all time favourite Western!). LOL, sorry James! I’ll definitely make an effort to see some westerns. Not against them but they just don’t appeal to me a lot. I’ll let you know when I eventually see Star Wars as well. I’m really looking forward to hearing your thoughts on Star Wars, regardless of whether you’re a fan or not! Awesome – well I hope you like it. It took me a long time to get around to seeing some Westerns, but when I did I wished that I had watched them sooner! Thank you, Ruth! 😉 I want to give GWTW a rewatch soon, but I’ll need a lot of free time, haha! Nicely done, guys! Especially interesting thoughts on Mexican cinema; that was all new to me. “From 0 to Tarantino”. Haha, well said. But hey, if you’re gonna go R-rated, can’t go too wrong with him. Good interview fellas. LOL, thanks Gene. It really was a drastic move, haha. My one question (which I completely forgot the first time around) was if you were just a casual film fan until you saw it, how did Kill Bill Vol. 1 (let alone any Tarantino fan) become your first R-rated movie? I don’t think I was aware about Tarantino or his previous films. I just remember seeing the trailer on TV and being really intrigued by the fight scene so when I went to the store I saw they had it, I had to take it! It was great to read this interview. I can let Star Wars and Wizard of Oz slide, but I have a few suggestions for Westerns. How about Tombstone? You could any a John Wayne film, but mostly check out… Unforgiven.